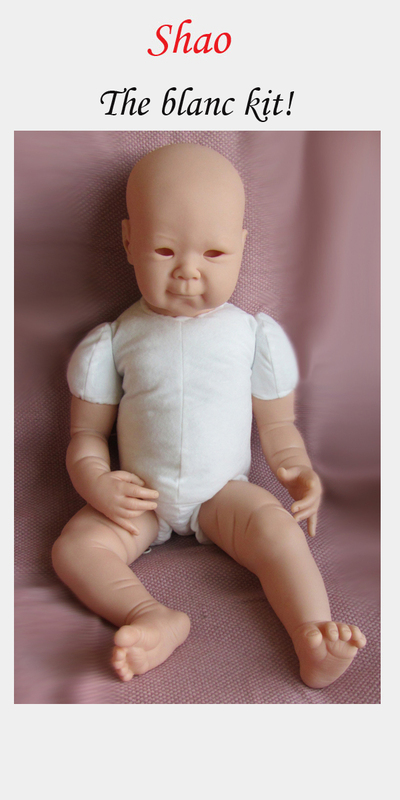 Asian reborn doll kit. Shao will measure about 24" with the german made body Adrie designed for him. (not included) He’s made of German made soft vinyl (same as Paris, Noor and Mix & Match Collection), easy to root and has ¾ arms and Full legs. His limbs are made exclusively for him and will not be used on future kits. So Shao is, and will stay a unique doll kit. Adrie recommends our 22mm Half Plated eyes for him as the sockets are adapted to fit them best. They will really bring Shao to life. 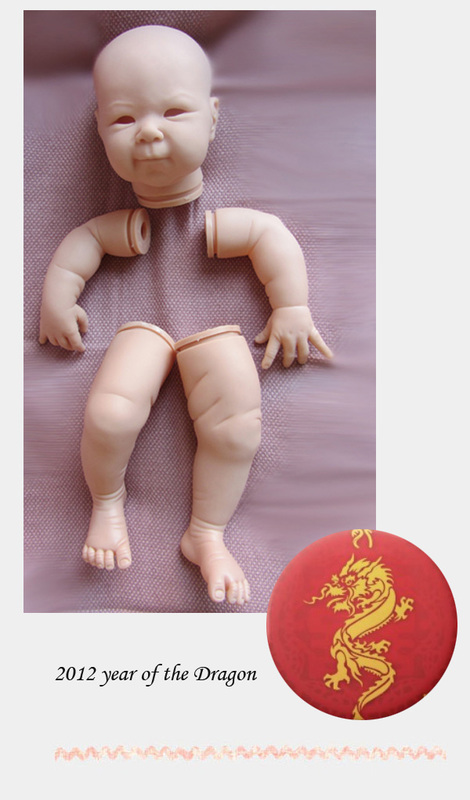 *This doll kit is solely for artistic purposes and therefore, as the end product, not suitable for children. You are buying a blanc vinyl doll kit only, the pictures are only meant to show what a reborned kit can be like once completed.